During our 4th-day stay in Bacolod, we got pretty exhausted after the city tour, park visit and museum visit. And so, we decided to rest the entire afternoon to recoup all our energy in the hotel where we were staying in L'Fisher Chalet (read more). Since I got bored "resting", I and one of my friends, decided to check the pastry shop nearby - C's, which is also owned by L'Fisher. 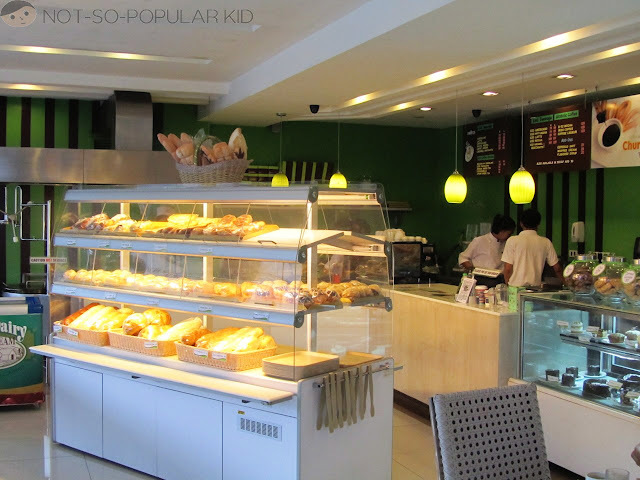 Actually, this place is just across the other famous pastries and cakes shop, Calea, which I believe offer a slightly more affordable prices. 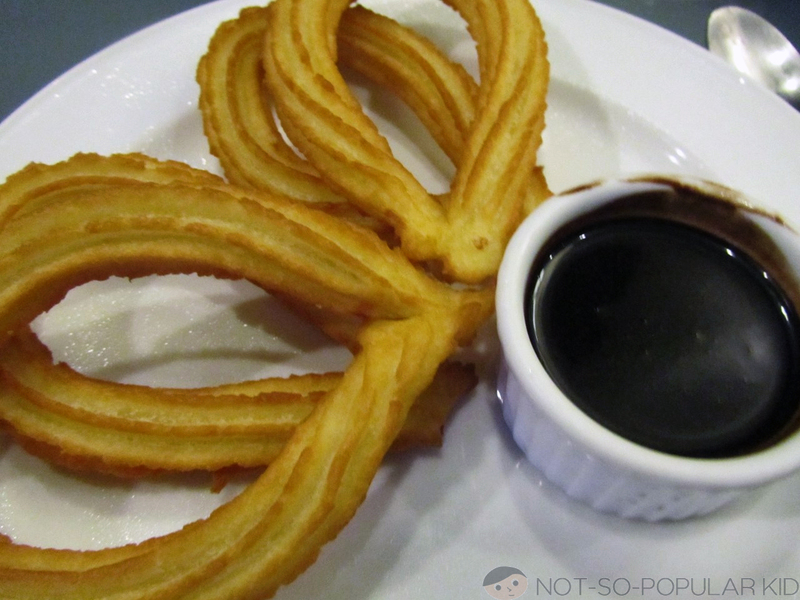 Pastries that will tickle your taste buds! Satisfy your sweet tooth with cakes from C's! Great cakes in C's! 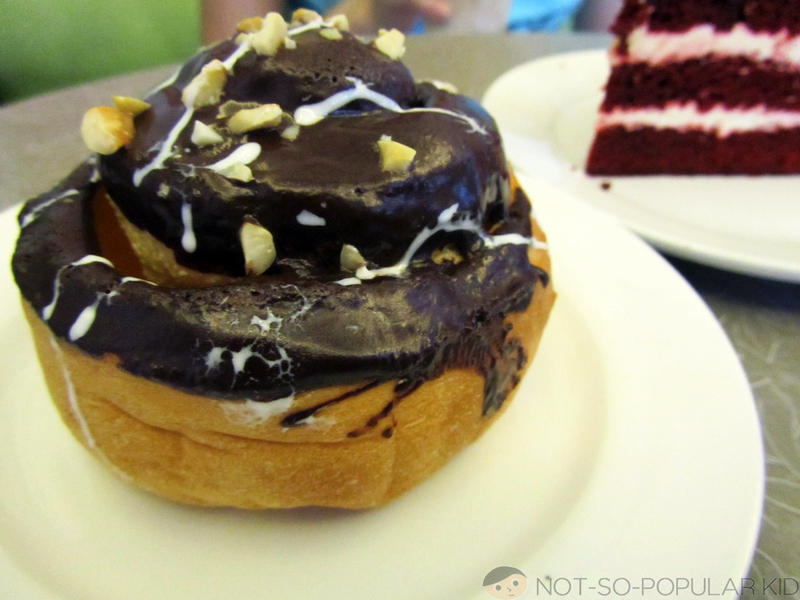 Although, Calea's cakes are the more famous ones, C's offers something different in terms of cake choices. So, you gotta try 'em all. C's is more than just a pastry shop. 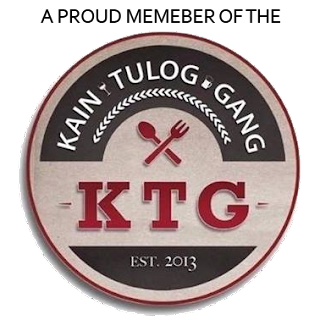 They offer frappe, coffee, smoothies and more! Now, let's dig in some sweet stuff! 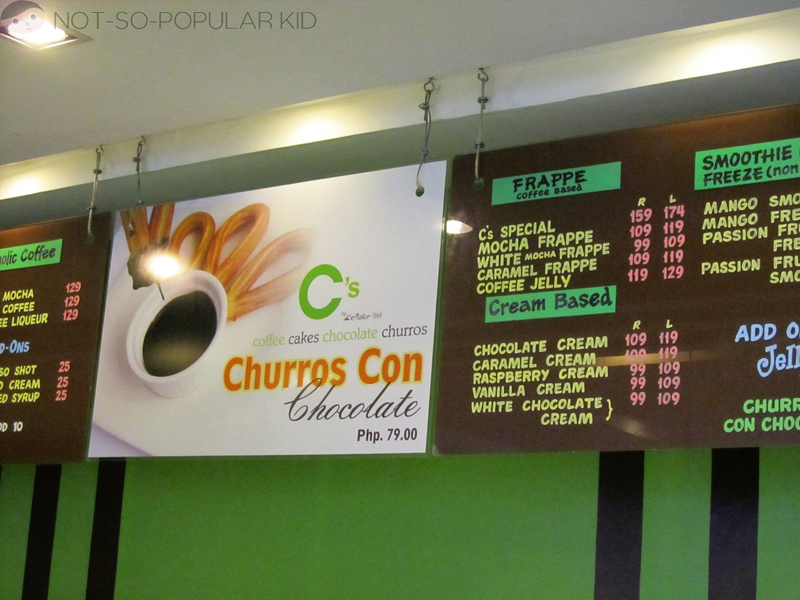 First one up is the famous Churros by C's (P79). C's special Churros really tasted so great! At first, I was doubtful. But, when I first had my bite, I fell in love. Great taste! Almost similar to that of Dulcinea's. My only concern was that the chocolate dip that came with it was not enough (but maybe it was just me). I just wanted more of it! Yum! Red velvet cake nearly at its best! 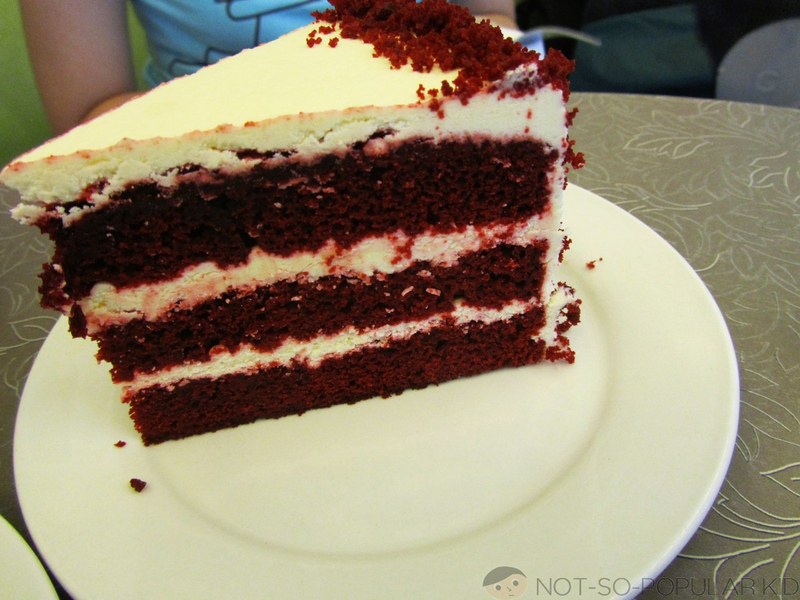 The lovely Red Velvet Cake (P115)! This one, although slightly pricey, tasted really good. And it would be perfect for two, because of the generous serving. Also, this red velvet cake has the melt-in-your-mouth texture that will send you up to cloud 9. You surely shouldn't miss this! Ooh, mouth-watering peanut custard roll by C's! The Peanut Custard Roll (P35) is great for snacking! Doesn't it look great and tasty? Well, I think it is! So, grab one of these when you get the chance to. 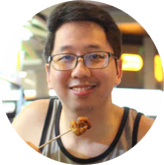 Of course there are still a lot that I wasn't able to mention here, so I challenge you to visit this store once you have the opportunity, so you could give them a try!